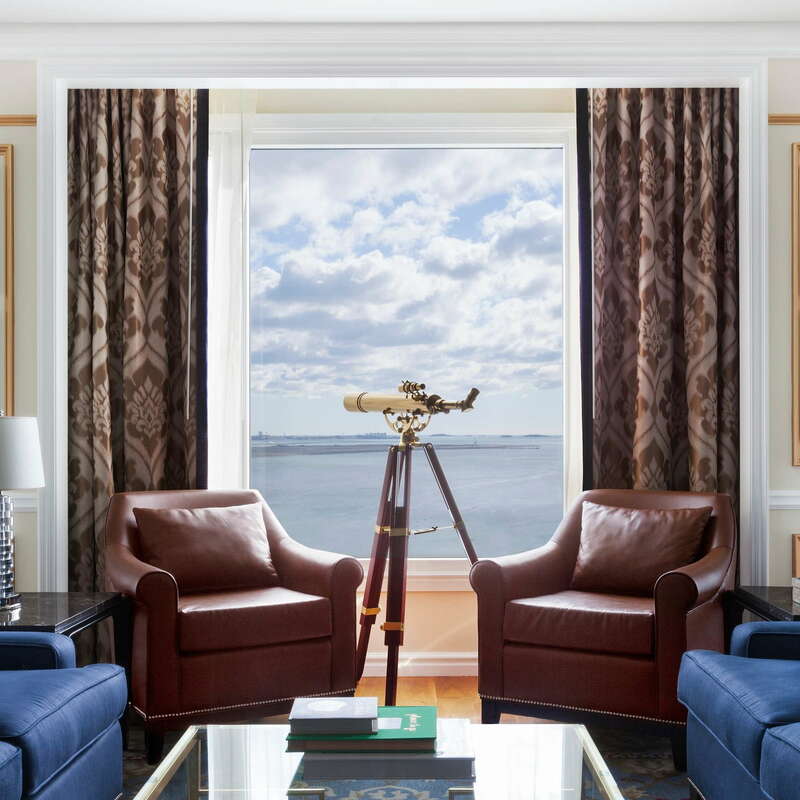 With its 80-foot-tall outdoor archway and rotunda and classic city and harbor views, the Boston Harbor Hotel is synonymous with über-hospitality. The splurge-worthy beauty is as stunning inside as out, thanks to marble arches, framed antique maps, and an ample placement of fresh flowers. 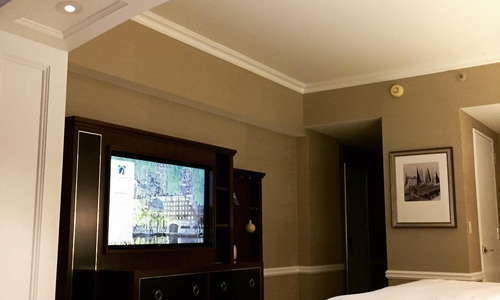 YOU SHOULD KNOW The hotel's older, well-heeled clientele has been coming here for ages. YOU SHOULD KNOW Daily shoe shines are complimentary. Marble bathrooms with rainfall showers come with Lorenzo Villoresi Firenze by Italian House La Bottega amenities, perfect for luxuriating in the deep soaking tubs. 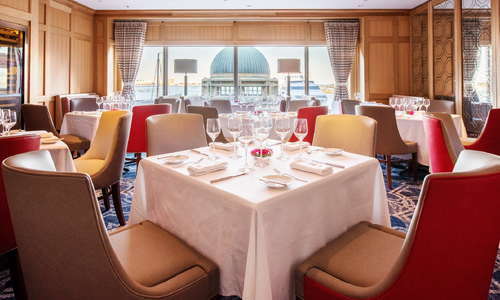 The picture of New England sophistication, the Boston Harbor Hotel exudes high-end gravitas. 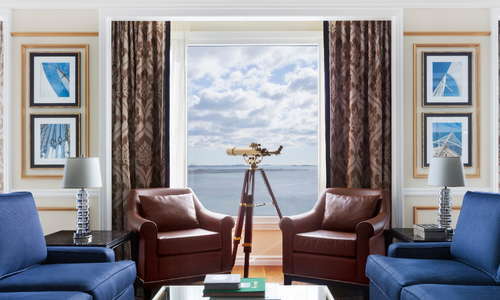 A spacious lobby with plenty of plush seating has a nautical vibe, but not in a cheesy way. 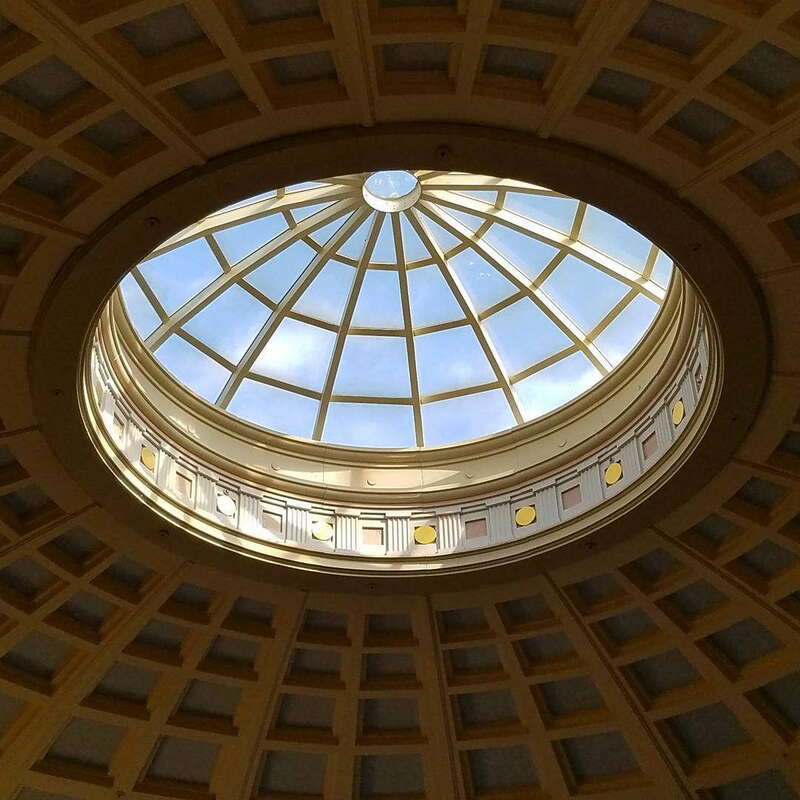 Just off the lobby is the Business Center, with plenty of private office space and everything you need to fulfill administrative tasks. There is a three lane, 60-foot swimming pool at the health club. 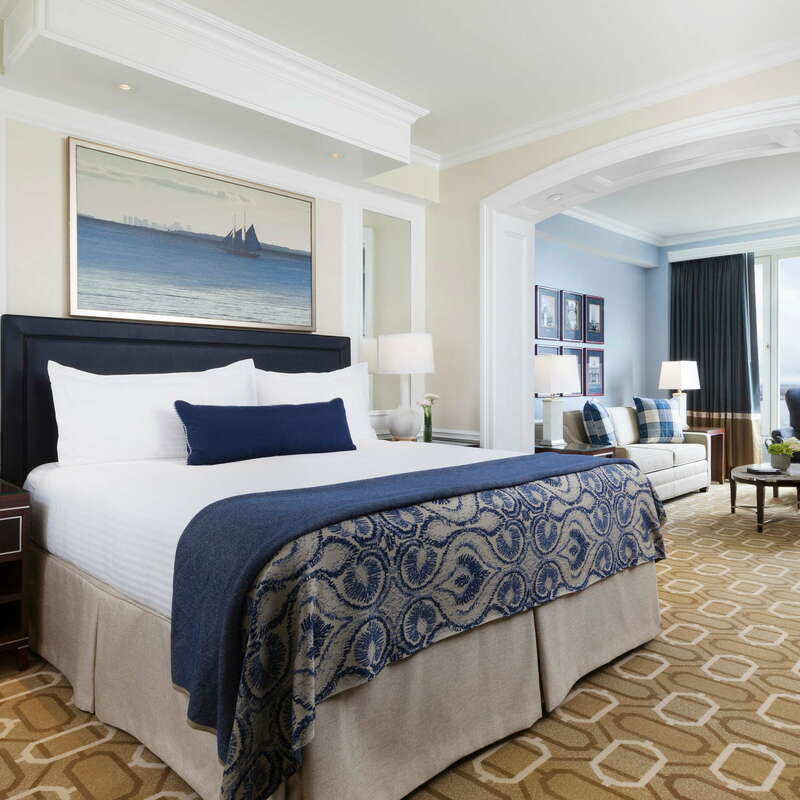 Cozy up in a spa robe and slippers for a visit to the Rowes Wharf Health Club & Spa, the picture of rejuvenation and serenity. Have a massage or Moroccan Oil Manicure in the "Relaxation Salon," or sit back in the sauna or eucalyptus-infused steam room. There is also a jacuzzi. 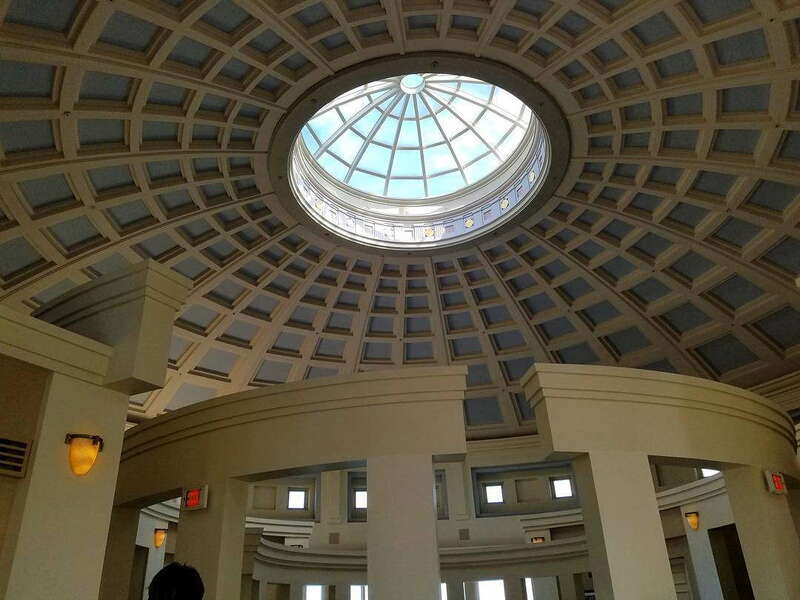 Rowes Wharf Health Club & Spa is a luxurious spot to get your fitness on. There's plenty of cardio and strength training equipment, as well as free weights. Certified personal trainers available for advice or private sessions. YOU SHOULD KNOW Forgot your workout clothes? No problem. The BHH will provide shorts, shirts, and socks. 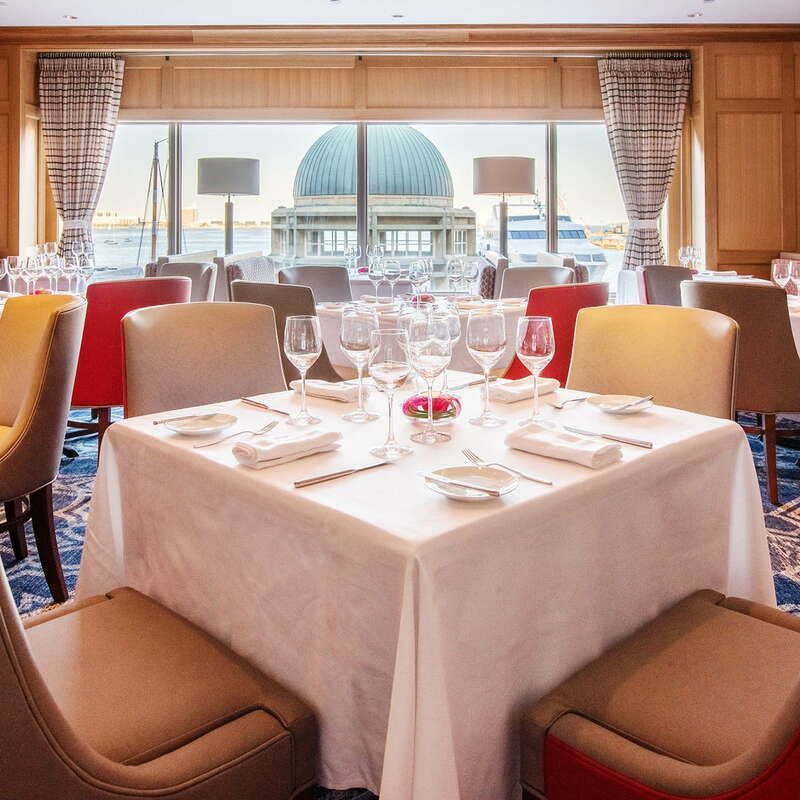 The excellent on-site restaurant, Meritage Restaurant + Wine Bar, offers some of the city's best views of Boston Harbor and contemporary American cuisine. 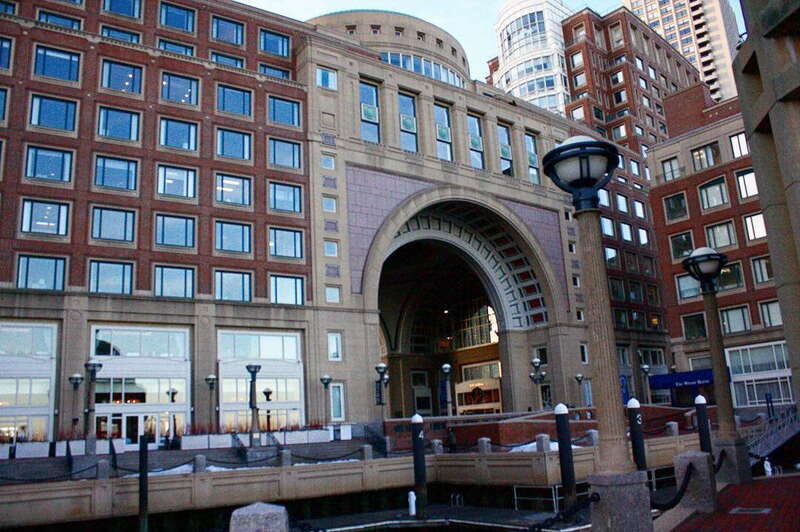 The Rowes Wharf Sea Grille is delicious and beautiful, and has an awesome outdoor terrace overlooking the water. If you like to eat as soon as you wake up, don't miss the breakfast pre-order menu. 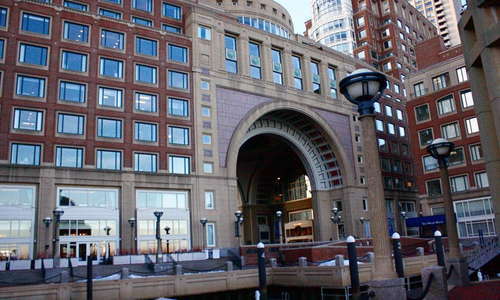 The Rowes Wharf Bar is both sophisticated and welcoming. 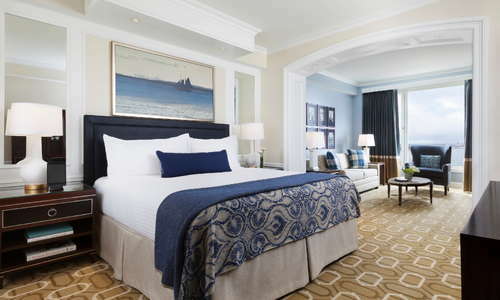 Guests can schedule use of the hotel house car for destinations within a two-mile radius of the hotel, but it must be scheduled ahead of time. 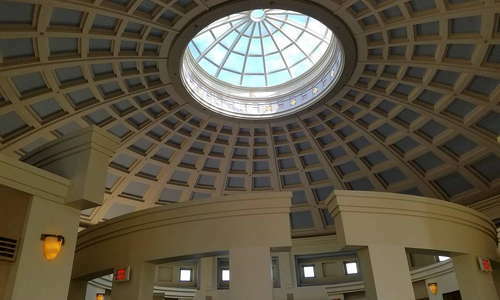 Guests can also hop onto the MBTA Red Line at South Station, or the Blue Line at Aquarium. 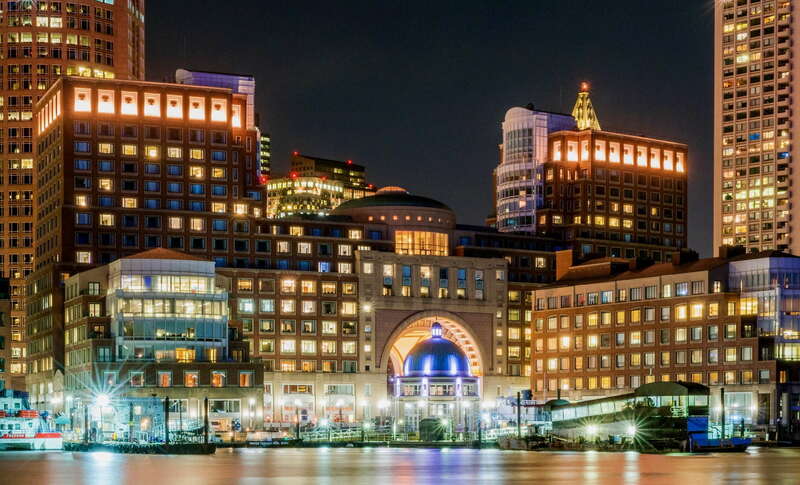 The Water Taxi is also an option for transportation to various spots on the waterfront, including Logan International Airport. However, be sure to reserve it beforehand, because wait times can be lengthy. 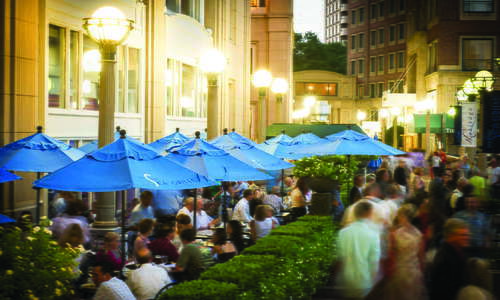 There are various casual restaurants along the Rose Kennedy Greenway, like Granary Tavern (5 minute walk). 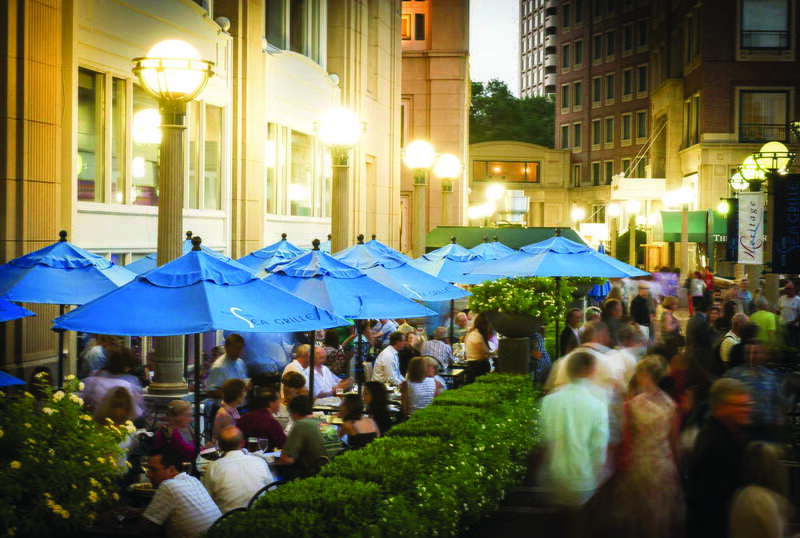 Serafina (9 minute walk) is a popular high-end restaurant in the Financial District. There are endless options for rowdy bars in the area, if that's your thing. 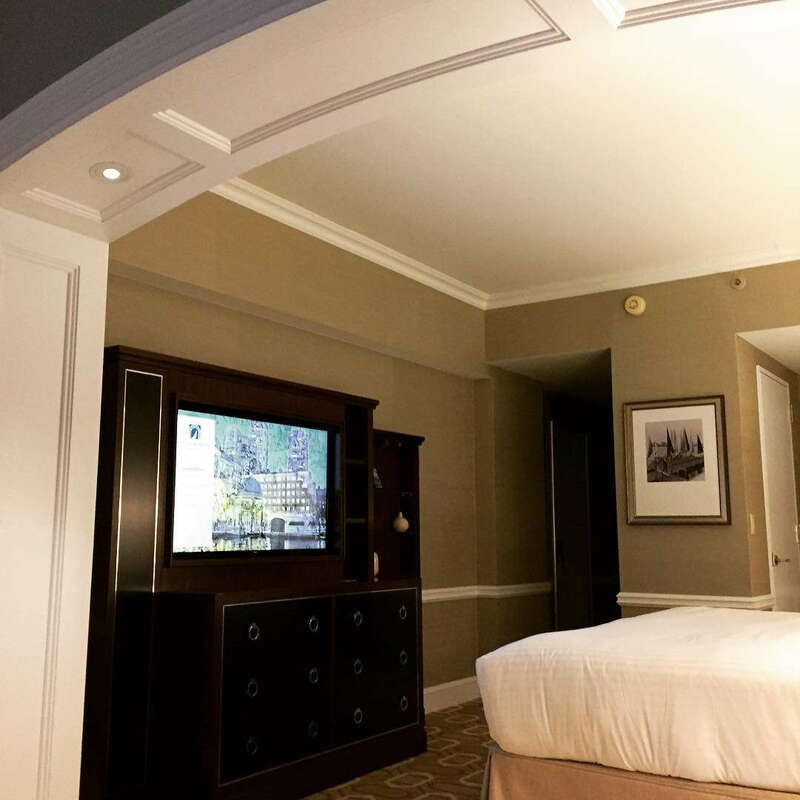 Stroll into Faneuil Hall to party at their endless watering holes, like the Black Rose (7 minutes away.) 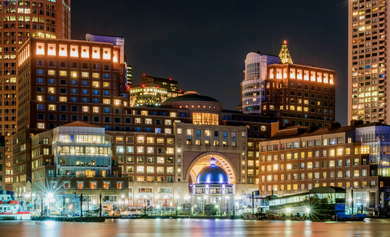 You can also walk in the opposite direction toward the Seaport neighborhood, where hotspots like the Lookout Rooftop + Bar (8 minutes away) are big with the young professional crowd. 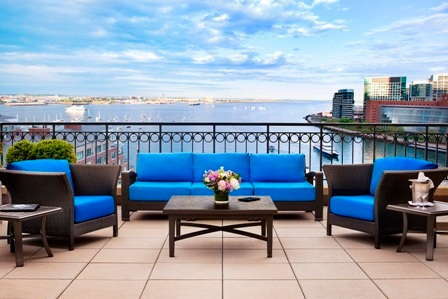 The Boston Harbor Hotel is one of the most luxurious properties in Boston. 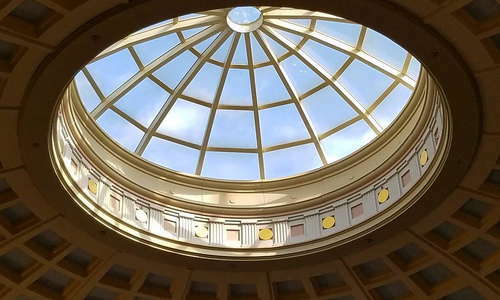 A stroll through the lobby will be greeted with hellos from several staff members who provide top-of-the-line service at all times.